A sequel to the first FINAL FANTASY rhythm action game released in 2012, THEATRHYTHM FINAL FANTASY CURTAIN CALL expands on the original game in every way with new gameplay modes, over 200 songs, and 60 playable characters. Featuring music that spans the breadth of the legendary FINAL FANTASY franchise, players tap along to the memorable beats and harmonies as the adorable, stylised characters battle and quest through their worlds. The music of over 20 titles is brought together in one package, fusing together the moving scores, cinematic visuals, and role-playing elements the series is renowned for. ;"Music is an integral part of the FINAL FANTASY experience that serves as a complement to the gameplay," said Ichiro Hazama, producer. "As with the previous title, we envisioned a game where the music takes centre stage and the RPG gameplay enhances that experience. Our fans are definitely in for a treat as they'll be able to re-experience their favourite songs across the entire FINAL FANTASY catalogue." 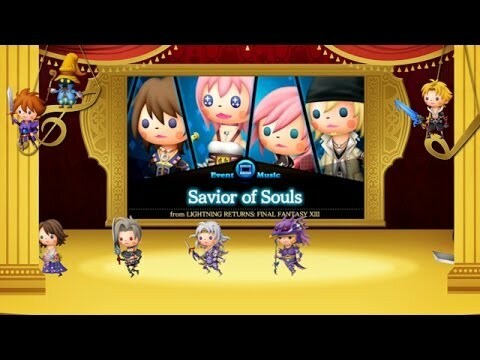 TheatRhythm Final Fantasy: Curtain Call was released on 1676d ago in the UK and the US.